Maybe it’s just me but one thing I have noticed in my three years of being a travel blogger is that the closer you get to big cities, the pricier accommodations get. Of course there are exceptions; most big cities harbor some “best kept secrets”. Not only are they few, they also get sold out fast especially during peak seasons. 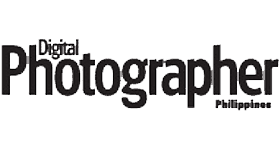 Fortunately, there are aggregator sites that make hotel hunting much less of a chore. 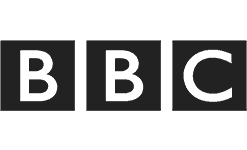 Websites like Expedia, Agoda, HostelWorld, and Booking.com compile lists of hotels, hostels, inns, and guesthouses that you can choose from. 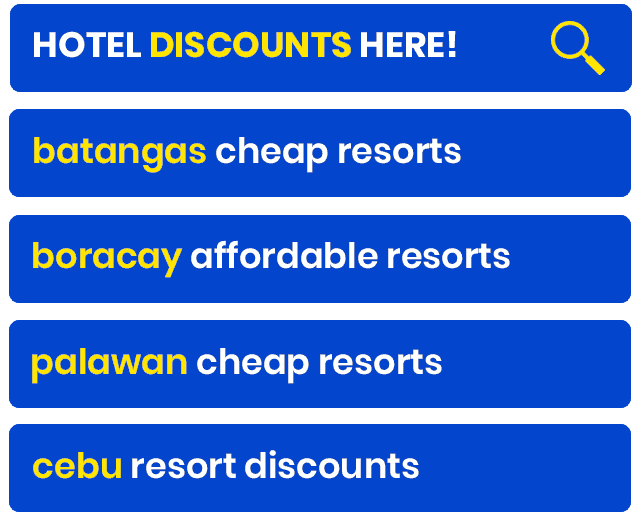 But based on personal experience, it’s always a struggle to find affordable rooms in major metropolitan areas like Singapore, Macau, and, of course, Hong Kong. The vibrant and modern city of Hong Kong is one of the busiest and the most developed in Asia in terms of trade, business, and tourism. 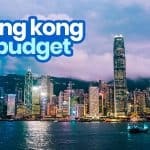 A Special Administrative Region of China, Hong Kong consists of the Hong Kong Island, the Kowloon Peninsula, the New Territories, and 200 outlying islands. While these areas are connected impressively by the city’s expansive train and bus networks, it is important to be familiar with its geography. Hong Kong Island is where the Central area, the political and economic center, is located. 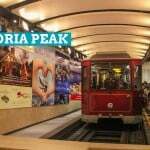 There are also a number of cheap guesthouses and hostels here and it is home to many tourist attractions including the Victoria Peak. 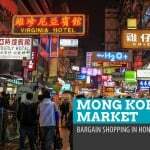 Kowloon is where you will find most museums, markets, and the Avenue of Stars. The New Territories, north of Kowloon, is dotted with wetland parks and temples. 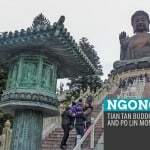 Lantau Island, one of the many outlying islands, takes pride in Ngong Ping (Giant Buddha and Po Lin Monastery) and Hong Kong Disneyland. 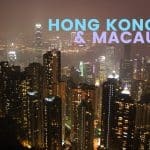 Kowloon and Hong Kong Islands have the most accommodations. 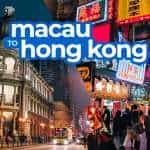 If you’re planning on including Macau to your itinerary, they also have a ferry terminal each: the Hong Kong Macau Ferry Terminal (Connaught Road Central, Sheung Wan area in Hong Kong Island) and Hong Kong China Ferry Terminal (Canton Road, Tsim Sha Tsui, Kowloon). I have been to Hong Kong three times in the past two years and have stayed at three different guesthouses. Here are some of my reviews and comments, with information about them. Tai San Guesthouse has many units all over Kowloon but I have only tried their Burlington Branch in Tsim Sha Tsui, Kowloon. It is managed by a Filipina, whom I have fondly called Ate Yolly. The rooms are smaller that you would expect and the bathrooms even smaller but you get what you pay for. We booked a room for two (but since we were a group of three, we had an extra futon) for only HKD 500 per night. There are so many great things about this place aside from the cost. 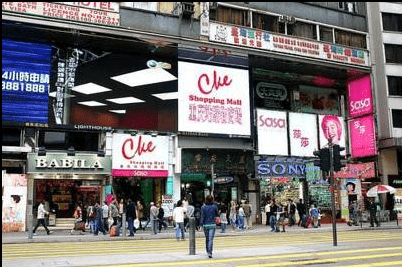 The location is excellent — bus stations and MTR Terminal within the block. It is also super clean all the damn time. Ate Yolly also exchanges currencies for a very good rate. Each room is equipped with a desktop computer (with internet connection) that guests can use. There is also free wi-fi but connectivity is very poor and limited in the second floor where most rooms are. The connection downstairs, at the common area, was great though. Nestled in Chung King Mansions along Nathan Road, New China Yan Yan Guesthouse shares the building with many other guesthouses and stores. 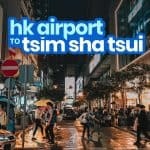 It is a 3-minute walk from the Tsim Sha Tsui MTR Station and also very near the East Tsim Sha Tsui Station. Avenue of Stars and Victoria Harbor are just minutes away from here. Like Taisan Guesthouse, New China Yan Yan is managed by a Filipina, Ate Merly from Pangasinan. Rooms and bathrooms inside are really small.  However, the place is neat, the service is satisfactory, and there is reliable in-room wi-fi. The room given to us only had a fan (not aircon) but it was fine because it was pretty cold when we stayed. 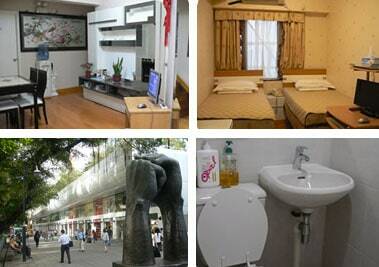 Comfort Hostek HK is right smack in the middle of a shopping district! 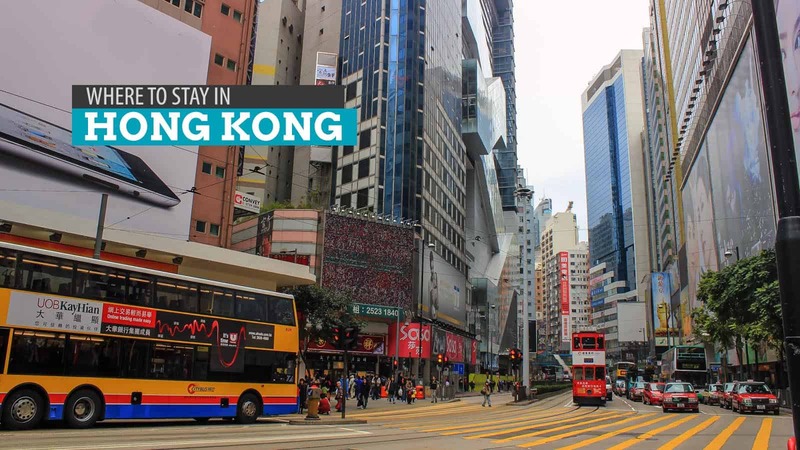 It is also surrounded by MTR terminals so getting to major attractions from here is a breeze. The only problem we had, though, was that we struggled finding it when we arrived. The guy at the ground level reception could not speak a word in English. 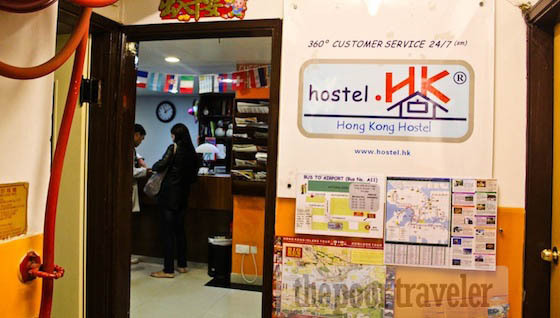 We spent two nights at Comfort Hostel HK last February and it was a pleasant experience. The staff were helpful and warm. The room we got was small, too, but the bathroom was definitely bigger than the usual. The room we got was actually one of the spare rooms being rented out in that apartment unit. The owners of the unit were friendly so it was not really a problem. At the common area (lobby), there were computers that guests may use. No wi-fi, though. There you have it! 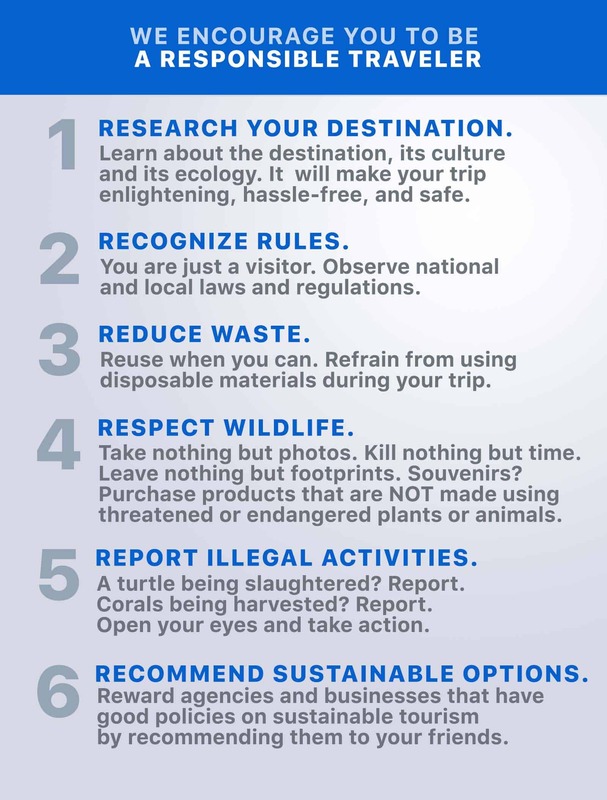 If I visit Hong Kong again and stay at another place, I’ll definitely add it to this list. Please note that these are based on my own experiences and the rooms given to me. 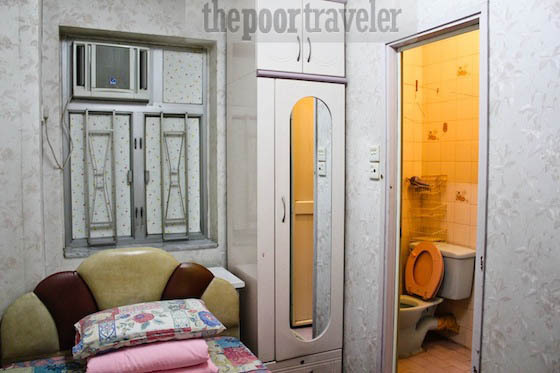 It might not hold true for the other rooms of the guesthouse and other people’s experiences. want to ask kung pano kayo nagpabook sa mga guesthouse na nasabi mo? 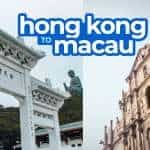 im planning to visit Hongkong this April. 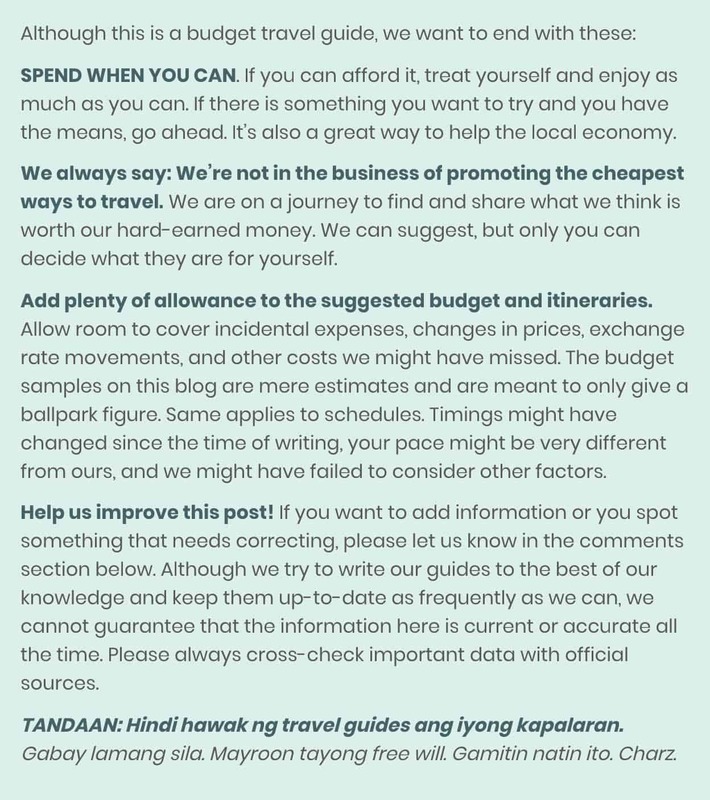 Salamat sa blog mo, it really inspire me to travel and explore. if we have toddlers with us, which one do you recommend? thanks. Parang ang scary ng hostels sa Chungking Mansions. I read some reviews that the entrance is kinda shoddy daw? Yung parang nagbebente ng bawal o mga conman. I’ll be bringing my two younger sisters in our trip, so I’ll probably stay away from Chungking. This room is at the Burlington branch 16th floor roof top. However, I will suggest you the one at the Haiphong Branch. I was asking for Burlington but he recommends Haiphong, which one do you think is better?